Home > ティータイム > 10分ってとこじゃない？ – I would say 10 minutes. 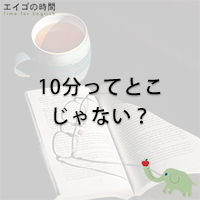 10分ってとこじゃない？ – I would say 10 minutes. I would say that’s pretty accurate. I would say 10 minutes. I would say she is just jealous.